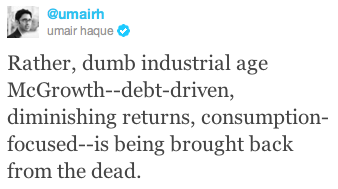 I’ll wrap up 2011 by handing over the word to one of the visionaries of our time, Umair Haque. 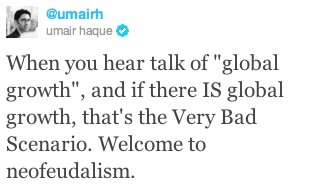 Here’s a series of tweets from @umairh for us all to reflect on going into 2012. 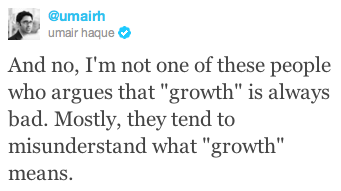 I for one am optimistic (crikey, I might even be upbeat) about creating a better and meaningful world without the meaningless industrial age growth of the past 30-40 years. If you haven’t already picked it up, grab Umair’s recent book Betterness. It’ll make you angry – but the good way.